Respirator masks labeled N95 or N100 will filter out fine particles and can be found at hardware stores, pharmacies. 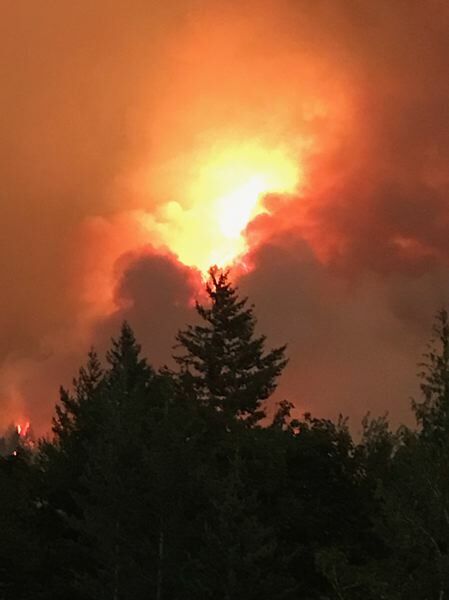 As wildfires ravage the Columbia River Gorge just east of Portland and in other areas of the state, the Oregon Health Authority has issued a number of steps people can take to reduce health effects from the smoke and ash. Fires have noticeably affected Portland's air, as the skies have become gray from the smoke, the sun barely visible while ash falls from the sky. Fine particles from the smoke can affect people suffering from asthma and other respiratory conditions, while poor air quality from the fires can cause further health problems for those with chronic lung or heart conditions, the elderly and children, according to the health authority. 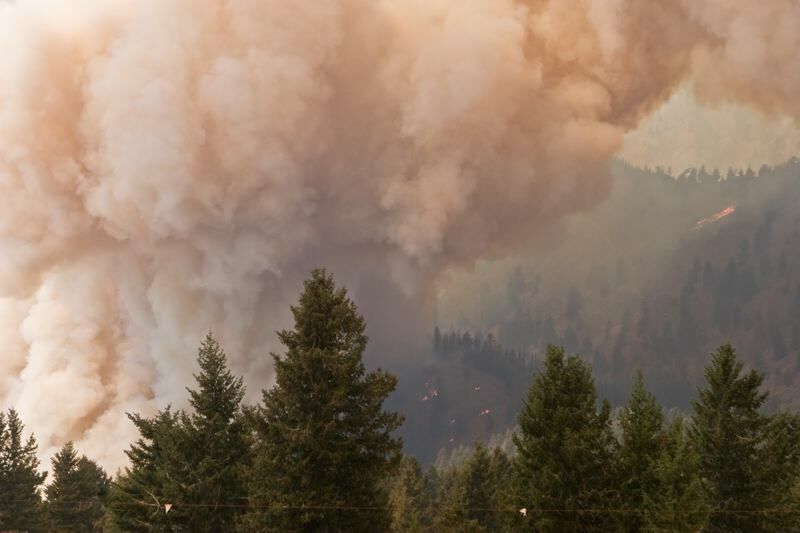 "People should be aware of smoke levels in their area and avoid the places with highest concentrations," said Ann Thomas a physician at the OHA Public Health Division. According to the OHA, temperatures can also increase levels of ozone, a pollutant that can irritate the lungs. Meanwhile, the Clark County officials have alerted its citizens to avoid strenuous work, outdoor exercising or even driving. Cyclists also could face difficulty in their commutes as ash floats into their field of vision. Officials suggest running the air conditioner on "recycle" or re-circulate mode to avoid drawing smoky air into the vehicle. They also suggest closing up homes by shutting windows and doors, and avoid vacuuming except with HEPA filter-equipped vacuums since most vacuums emit fine dust into the air. Officials suggest wearing N95 masks if they must be outdoors because they filter out fine particles. They can be found at hardware, home repair stores or pharmacies. Those who must be outside can escape smoke and heat in public libraries, community centers, malls, and other public buildings. • Residents can check the current local air quality conditions on DEQ's website (oregonsmoke.blogspot.com). Avoid outdoor activities when air quality is unhealthy and hazardous. • Avoid smoke either by leaving the area or by staying indoors, closing as many windows and doors as possible without letting your home overheat, and using a filter in your heating/cooling system that removes very fine particulate matter. • Avoid strenuous outdoor activity in smoky conditions. Those with heart or lung problems, as well as young children, are especially vulnerable. • People suffering from asthma or other respiratory problems should follow their breathing management plans or contact their health care providers. For tips on how to protect yourself from the health effects of wildfire smoke and ash, watch this video: www.youtube.com/watch?v=mI77-oA6jxc. For guidance on how to protect student athletes and when to move outdoor activities indoors, watch this video: www.youtube.com/watch?v=O07jAVAVijw. For more information about wildfires and smoke, visit www.healthoregon.org/wildfires.